Thick, soft, instant-foam gently cleanses from head to toe and rinses clean, leaving your baby’s hair and skin soft and nourished. 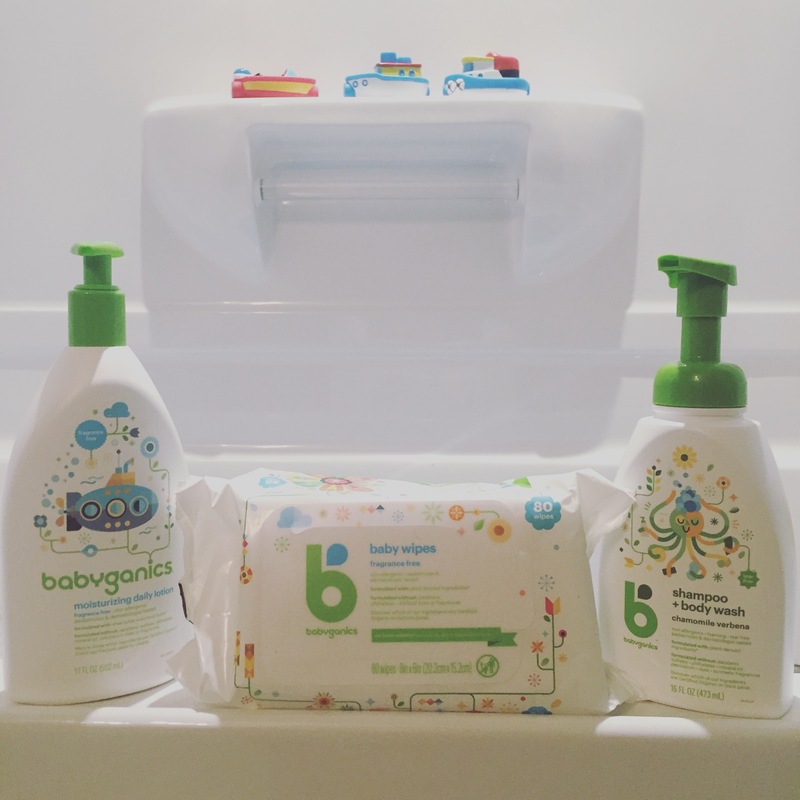 Non allergenic, tear-free, and pediatrician & dermatologist tested. 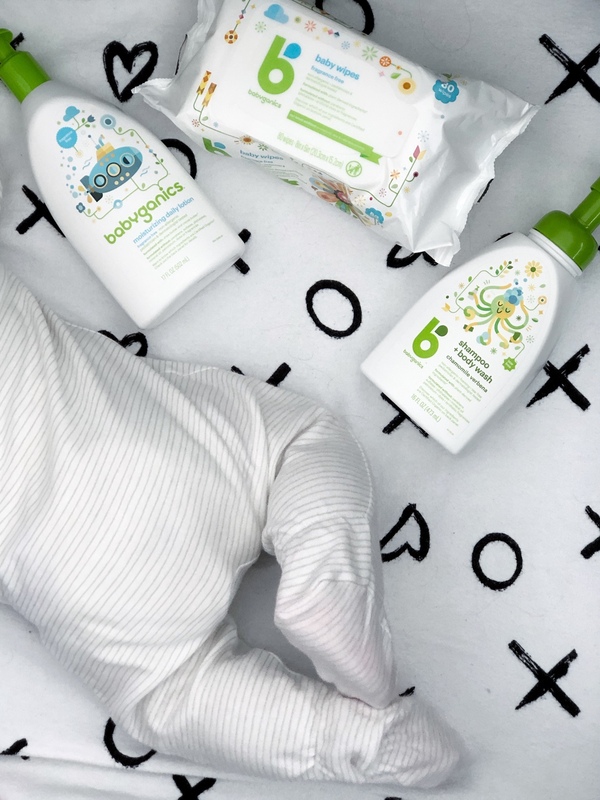 Formulated without parabens, sulfates, phthalates, mineral oil, petrolatum, dyes, or synthetic fragrances. Shampooing et nettoyant corporel à la camomille et verveine. Hypoallergénique, moussant, sans larmes, et testé par des dermatologues et par des pédiatres. Formulé sans parabènes, sulfates, phtalates, huile minérale, pétrolatum, colorants, parfum de synthèse. 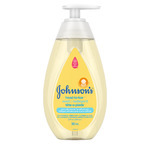 I got this gentle and effective hair and body wash for free through family rated club. This stuff really gets the job done. My girls are not fans of getting their hair washed but this made it fun for them as its foaming. It doesnt hurt their eyes and it makes their hair shiny and manageable. I Would definitely recommend this product to friends an family!! My 1 year old loves the fact that this stuff doesn’t hurt his eyes. It’s gentle and smells amazing. The ingredients are so natural. 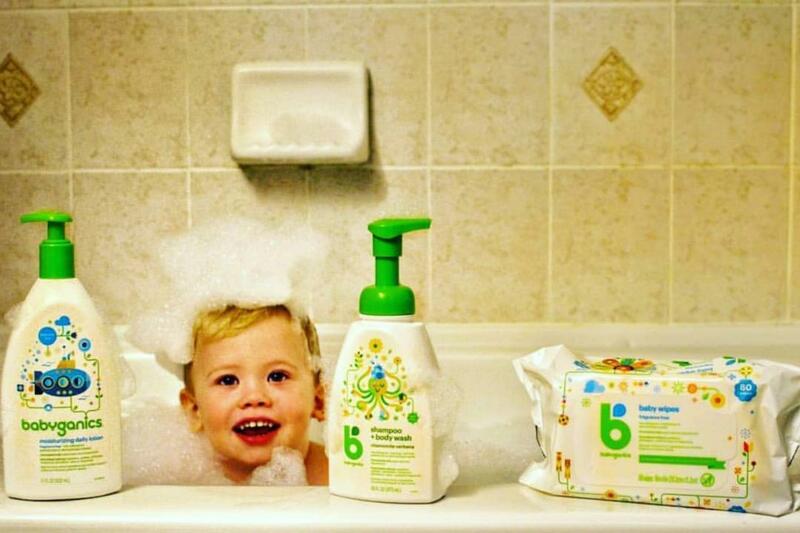 My son suffers from eczema and this shampoo/wash doesn’t aggravate it. I received this free, and I am glad that I did. It smells great, but it does not feel like it cleans at all. We actually ended up tossing the rest of the bottle, and we are extremely frugal and never throw anything out. 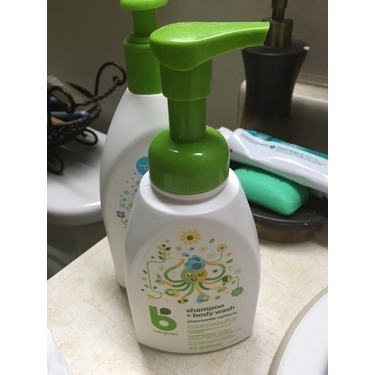 My daughter has sensitive skin so I am happy to say that this did not aggravate anything at all, but it just didn't do much either. 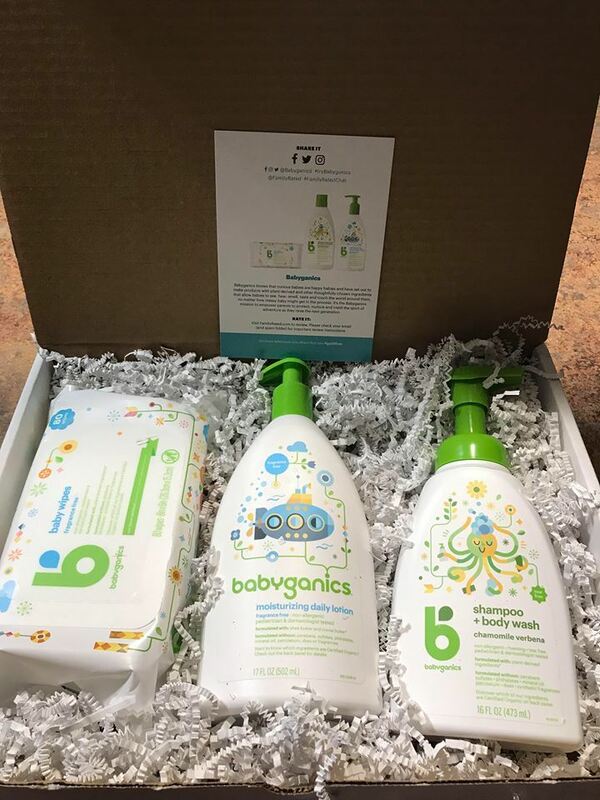 Got these Babyganics baby shower wash for free with Family Rated. 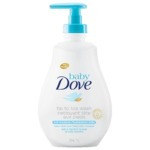 My daughter has dry skin and this bath wash helps prevent her skin from itching. The wash has calming chamomile. I would buy again! We dont have a baby but my 4yo loved that one product could wash both hair and body. The scent is mild and nice. Not overwhelming and did not compete with other products. It's a nice gentle soap. The pump is sturdy but easy to use. My daughter did it herself without it falling over. We did have to followup with a detangler but that is hardly a complaint. 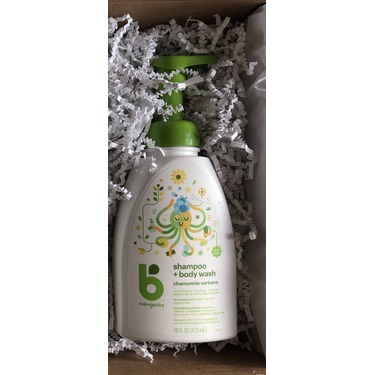 I used this on my child as she has sensitivities to some shampoos. Felt it did a great job in cleansing without being too harsh on the scalp/skin. I'm not sure what the pricepoint is, which would be the determining factor as to whether or not I would purchase. 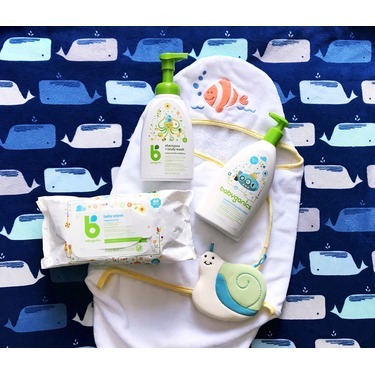 I have two little ones under 4 and this was a perfect body wash for them! They have sensitive skin that always seems to be a bit more agitated with the dry winter air. Not only does it have a wonderful scent but it was very gentle on their skin. Although this is a bit more expensive than our usual brand I will be making it a staple in our home! 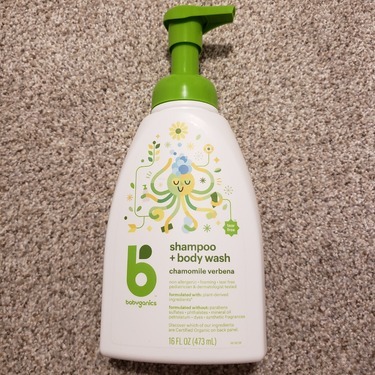 This smells nice, works great to wash babies hair without over drying skin. The scent is refreshing. Great on sensitive skin. I am happy I received the chance to try this product, and will definitely purchase it again in the future. I love love love this wash. 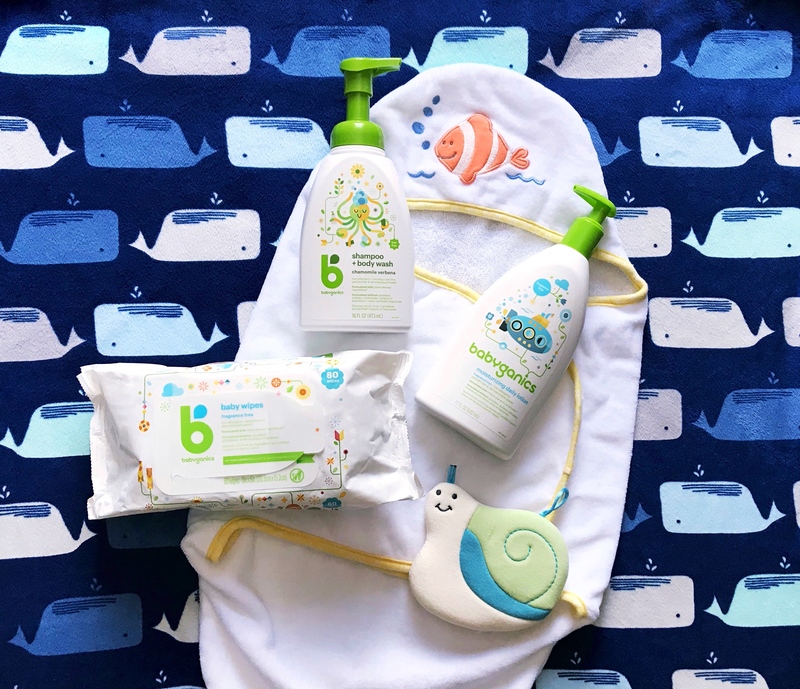 The slight chamomile smell it leaves on baby is absolutely wonderful, it gave baby a squeaky clean clean with a wonderful smell and not only did it clean all her little parts well it also left her hair nice and clean. I loved that this was a foaming soap too. I received this product complimentary as part of the Family Rated review club. 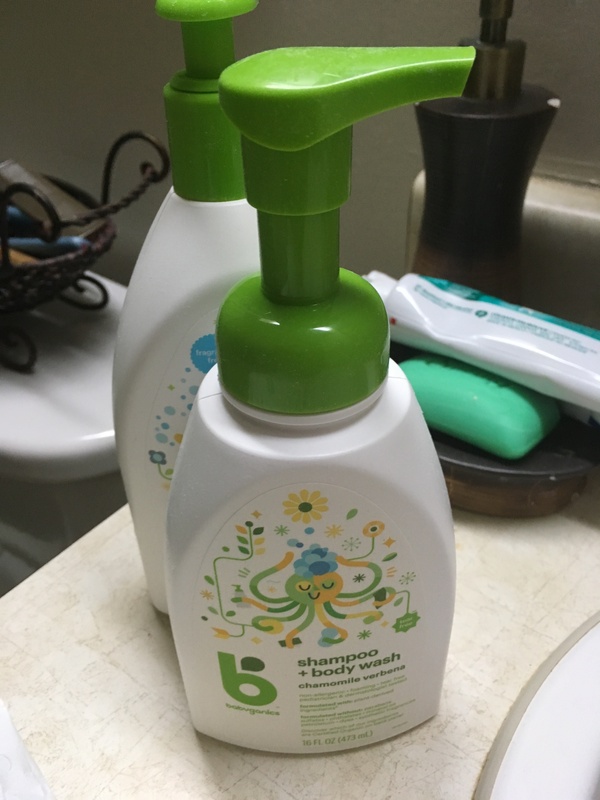 I liked this soap as it was an effective body wash and shampoo. It did not foam up too much which I liked. It was gentle and did not notice any skin irritation, the smell was very pleasant as well. I'd say this is a well valued product and would recommend it to friends and family. These reviews are the subjective opinions of ChickAdvisor members and not of ChickAdvisor Inc.